As many of us know only all too well, children are rarely on their best behavior out in public. Still, cloistering ourselves and our families off and living like hermits within our homes isn’t the right answer. While some of us do our best to run errands while the kids are in school or at home with the other parent or other caregiver, there are those occasions when we’re forced to shop with them. Or, we know that it’s a good idea to take our kids out with us on our errands to introduce new experiences. Either way, we do it and hope for the best. It doesn’t always go as planned. That’s why it’s nice to hear more and more of these stories about strangers not just staring and pointing, or quickly averting their eyes and moving on, when our kids have public meltdowns. And what happens when they’re older, and on their own? A public meltdown in a Target store in January led to somebody calling 911 because the teen was becoming “physical.” When police officers arrived, one of them approached the teen to find out what was going on, getting down on one knee so he could talk to her on her level. He soon realized that she had autism, and the root cause of the violent outburst was that she wanted a doll. 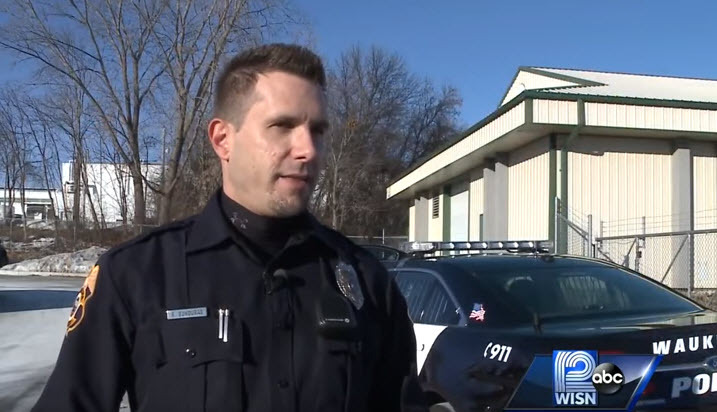 After asking his partner if it would be okay, the officer bought her the doll and the crisis was averted. Now, everybody has different parenting techniques, and we’re not saying one way or the other whether it’s appropriate to have purchased the desired item for the child. 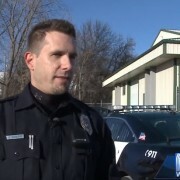 However, what impresses us and, truthfully, makes us most happy, is that the police officers in Waukesha are being trained to recognize autism and mental health issues so that they can identify a situation more accurately and determine the best course of action for each and every person—not just for what they would perceive as “normal” behavior. This is a great step forward for the police department, helping remove stigmas one town at a time.